 We offers complete Production Video Services in Texas & Virginia. Therefore, our crews & camera packages are designed to fit any corporate, commercial or documentary budget. We provide a broad spectrum of production and media solutions. Our team will help you with concept, script, storyboard, production crew, and editing. The MAC team will create the right message for your audience. Furthermore, we will deliver the product you expect. We will find the right creative solution within your budget. Next, we will execute your production in a timely manner. Matthew and Company is a very savvy production company. The MōVI is one of the smart video production tools MAC uses. This handheld 3-axis digital stabilized camera gimbal redefines the possibilities for camera movement. The versatile new technology allows for handheld camera shots. Most noteworthy is the control algorithms developed for the MōVI. They use a very high accuracy GPS. This GPS allows for acceleration correction when the gimbal is used outdoors or has a GPS signal. This feature is useful when used on cars and helicopters. In these situations, sustained extreme accelerational forces may cause non-GPS aided systems to drift. The MōVI is rock solid. The operator can intuitively control the gimbal by moving the handles without compromising the stabilization of the image. The gimbal takes the operator’s movements and intelligently converts them into stabilized pan and tilt movements. This allows for very low profile single operator setup and accurate framing in tight situations. The MōVI can also be used handheld in helicopters or on UAV Drones for rock solid aerial images. It can be removed from a drone in a matter of minutes and setup in Majestic Mode. Therefore, this allows a single operator to easily switch from ground to aerial. We have provided video services for some of the largest corporations in the United States, Mexico and Europe. As a result, we have created dynamic corporate reports, promotional web videos and inspirational team building videos. We have worked with General Motors, Deltronicos, Mexico, LCRA, Levi Strauss and Co., San Francisco, DOW Chemical, MCI, New York, NBC Dateline, Miss USA, NBC, Norton Company, Southwest Operations, NOVA/Discovery, Pratt Whitney, San Antonio, Price Waterhouse, New York, Siemens Wireless, TECO Westinghouse, Round Rock, Tandem Computers in Austin, IBM, Granda ITV, BBC, CSPAN, NHK Japan Broadcast Group, Rolls Royce Group, U.K., SONY Corp Japan and Texas State University. We specialize in providing video production services in Texas and Virginia. We create TV commercials and broadcast programming for Reality TV and PBS. MAC has worked on productions like “Facing Evil“, “Animal Planet“, “Cougars“, “Turbine Cowboys” , “Bait Car”, Discovery’s “Deadliest Catch”, and many more. We recently completed a series of TV commercials for Leif Johnson Ford in Austin, Texas. One commercial called for a couple traveling to the dealership. Due to the use of a camera car rig, we were able to grab the perfect shot. The camera mount gave us the look we wanted. So, call us if you want your commercial to be different. We don’t need a big budget to have a big impact. MAC produces using the highest quality cameras, lenses, camera cranes and stabilization systems. We focus on creating TV commercials that are more than just great…they produce “Results”. That is our goal! We have experience in all areas of product and automotive commercial production, food and beverage, retail, and more. We are confident that we can fulfill your vision. In addition, we can increase your traffic. Finally, we can translate your ideas to the screen within your budget and on-time. Food and beverage productions are all about making the food look delicious. First of all, it takes great camera work, lighting, and special effects. Furthermore, it takes an experienced production team and most of all, excellent post production. A great video production services company is the secret to a successful food and beverage production. Matthew and Company can provide the necessary planning and coordination needed. Most of all, the right crew is essential to getting the job done. It is especially relevant to find the right team. The right Food Stylist, Director of Photography, Gaffer, Set Dresser, Photographer and Producer are especially relevant to a successful shoot. The difference between images that look good and images that make you hungry is the team you are working with. 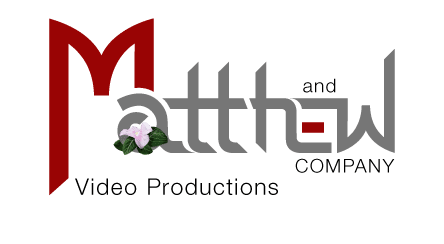 Matthew and Company will provide the best production team around. We have been doing aerial work for over 25 years. In fact, we created HDaerial, Inc to handle all of our aerial jobs. So, in conjunction with our affiliate HDaerial, we provide two different types of aerial production services. First of all is high altitude, large helicopter aerial cinematography. The manned helicopter operations use gyro stabilized camera systems like Cineflex, Gyron and Tyler mounts. The second type is low altitude gyro stabilized aerials using a UAV Drone. We currently use the Inspire 2. The Inspire 2 will provide images you were unable to obtain before. The X5S camera will capture stunning images at 5.2k. Furthermore, it will provide you dynamic angles you never thought you would be able to get. TV and Web short films are very effective tools for our clients as well. Our video production services were also used by Maverick Productions on the “Beautiful Barn” series for Cargil. Additionally, we were used on “Sperm Whales”. It was shot in the Dominica Commonwealth for Chiyoda Raft Corp. The program aired on NHK Japan. And finally, we produced the aerials for “Potomac By Air” for Maryland Public TV.